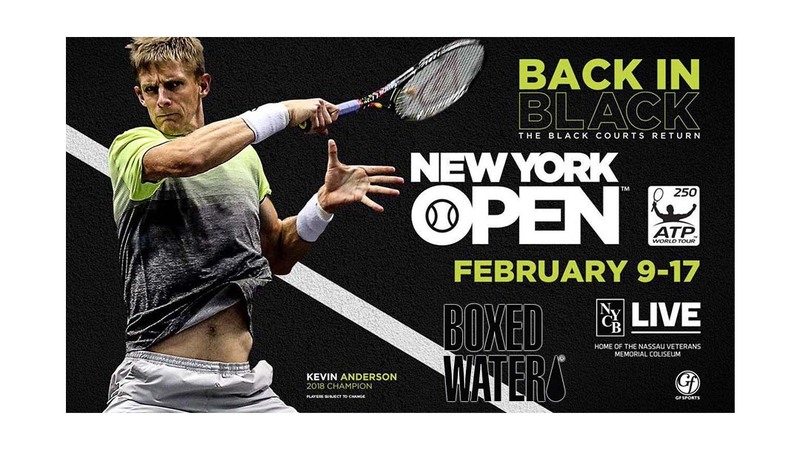 Boxed Water Sponsors New York Open 2019 - Boening Brothers, Inc.
Boxed Water Sponsors New York Open 2019, February 9th – 17th 2019. The New York Open returns to NYCB LIVE, home of the Nassau Veterans Memorial Coliseum for the second year in 2019. The inaugural event in 2018 welcomed three world top 20 players and legendary doubles team the Bryan Brothers to Long Island for this ATP World Tour event. Top seed, #6 ATP ranked Kevin Anderson will return, along with other top ATP ranked stars. Boxed Water Is Better is part sustainable water company, part philanthropic project. 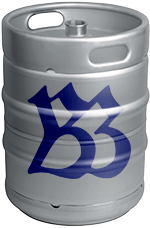 We obsess over providing the purest water in the most sustainable way. We’re not satisfied with the status quo – our planet doesn’t need more plastic bottles. We’re constantly finding new ways to make a positive impact for our planet. Giving back to the planet is more than just a company philosophy. For our employees, it’s personal. Together, the Boxed Water team is working toward a shared goal of creating a better tomorrow by creating more sustainable solutions today. NYCB LIVE, home of the Nassau Veterans Memorial Coliseum opened on April 5, 2017 with a concert by Billy Joel after an 18-month, $180 million renovation. BSE Global, the business enterprise that manages Barclays Center, the Brooklyn Nets, the Long Island Nets, and the business operations of the New York Islanders, manages the Coliseum’s programming, marketing, and operations. The Coliseum offers 14,500 seats for basketball, MMA and boxing, 13,900 for hockey, up to 15,000 for concerts, and 4,500 seats for its theater configuration. The venue’s unique skin evokes Long Island’s iconic imagery, such as beach dunes, dune fencing, decks, and boardwalks. The façade is made up of aluminum fins that pay homage to Long Island’s history as the cradle of the aviation industry. Guest enhancements include a new exterior glass storefront to infuse natural light into the refreshed concourse, a redesigned main entrance, all new seating, improved bowl circulation, and revamped bathrooms and concessions. Fans have access to free high speed Wi-Fi, upgraded phone service for all major cellular carriers, and an enlarged high definition LED scoreboard. Sustainability fixtures include waterless urinals, LED lights, and all new windows and doors to provide improved thermal performance throughout the building. With 77 acres of property to work with, NYCB LIVE is prepared for large-scale festivals that expand beyond the building’s walls. In addition to being the home of the Long Island Nets, the New York Islanders will make their return to NYCB LIVE for 20 regular season games during the 2018-19 season. NYCB LIVE also hosts college basketball, championship boxing, family entertainment and major concert events.